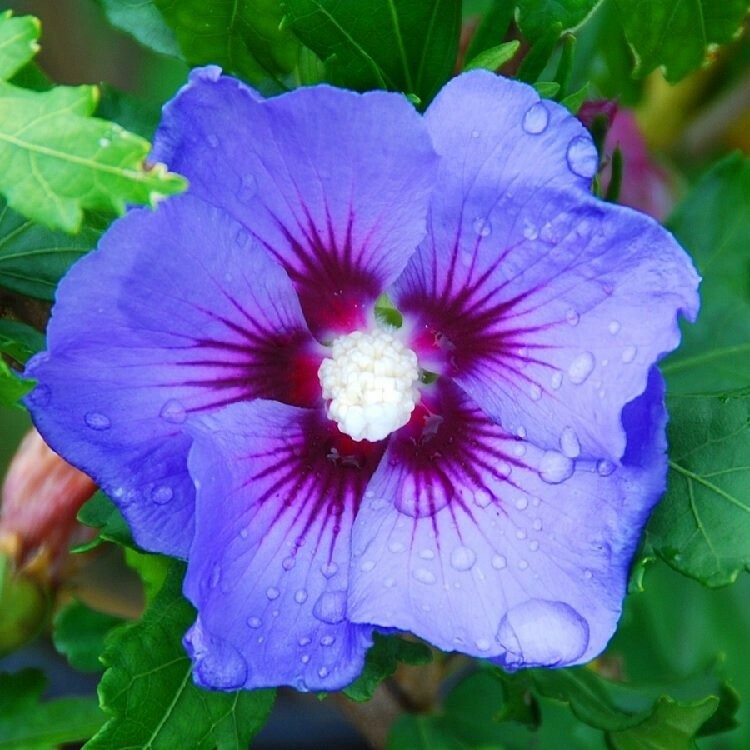 Hibiscus Blue Bird, or Oiseau Bleu as it is also known makes a magnificent, hardy, erect shrub with bright green leaves. It is very easy to grow and low maintenance, requiring absolutely no attention and to top it all, it is one of the most prolific flowering shrubs from mid-late summer into the autumn. 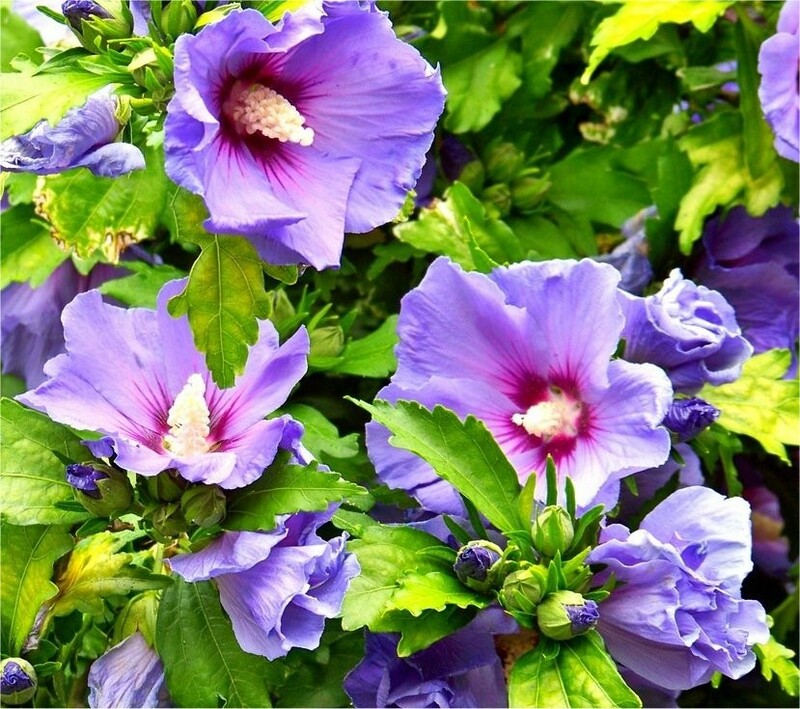 Blue Bird comes in to its own when many other shrubs are looking tired, so is perfect to continue displays from mid-summer with its large, trumpet-shaped, bright blue flowers - each up to 10cms (3 inches) across. This deciduous shrub is fully hardy, yet has an exotic feel to it, it will be equally at home in the herbaceous border as it is in a tropical-style garden or large patio planter. It will thrive in a well drained sunny spot, but is very tolerant of virtually all garden positions except deep shade and waterlogged soils.